Certified Professional in Business Analytics (CPBA) course is designed with inputs from professionals with over a decade of experience in the analytics industry. CPBA is designed to equip students with anaytical tools and reasoning making them ready to take professional assignments with ease and covers the language of SAS, SQL and Excel. 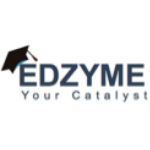 The live classes are taken by analytics experts from the industry on the Edzyme academy’s virtual platform. 28th Feb and save 25% on Fees! 100 Hours (20 weekends) Classroom session of Business Analytics Course in Delhi. Get 24×7 lifetime access to 60 hours of pre-recorded self paced videos. Start learning anytime, no need to wait for a batch to start!